Installing Blinds is the excellent way to renew the view of your home without spending much money. The feeling of comfort is the fact that can transform a house into a home. It is necessary to choose the best style, motif, furniture, and accessories in our house to make it refreshing to everyone’s sight and a soothing sanctuary to live. When moving to a new home, condo or apartment, keep in mind that you should update the look of your place for it not to look dull and boring. Updating your window cover is not only for décor purposes but also for your privacy. Choosing the right blinds depends on the size of your windows, the colours of your walls and furniture and the privacy you need. Many people opted PVC vertical blinds for their bedroom, living areas and even in bathrooms because the plain, simple style of these blinds provides the necessary privacy and at the same time transform your window into an elegant addition of the room. 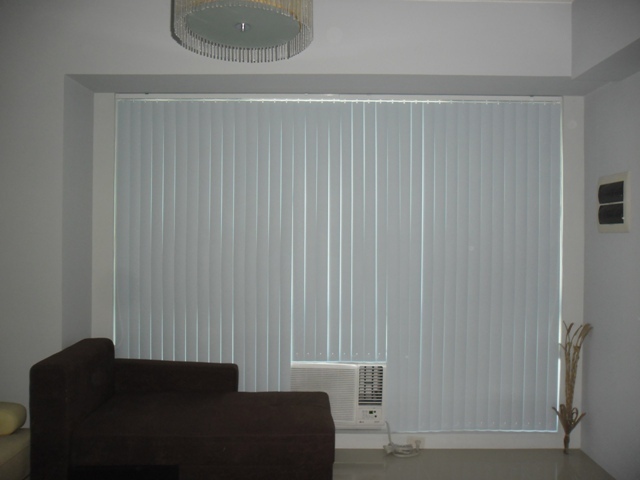 PVC vertical blinds are the perfect style of blinds when creating minimal sunlight exposure and darkness. It tends to bring an organized, relaxed feel to the room and they also insulate your home from the harsh elements of the outdoors. 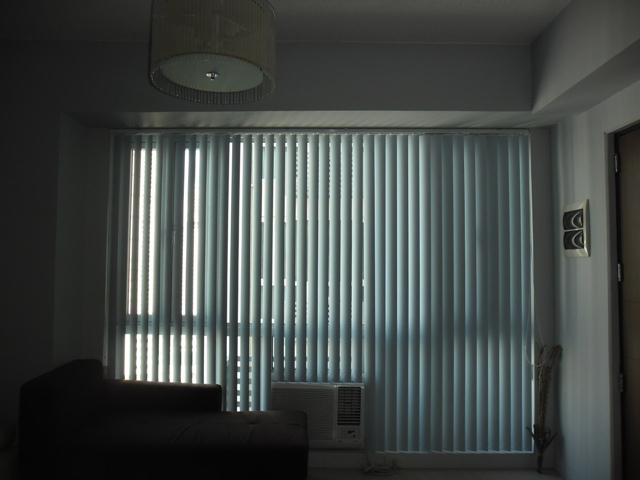 Photos are from Caloocan City who opted for PVC vertical blinds for his condo unit. If you are looking for appropriate blinds for your home, visit DS Windows and Walls Interior Supply at 4th level Waltermart, Makati City and 3rd level Robinsons Metro East, Pasig City or call us at (02) 403-3262 or 0916-311-3909. You may also email us at inquiry@dswindows.com.